The seafront of Alexandroupoli, Thrace, with the Rhodope Mountains rising to the north. 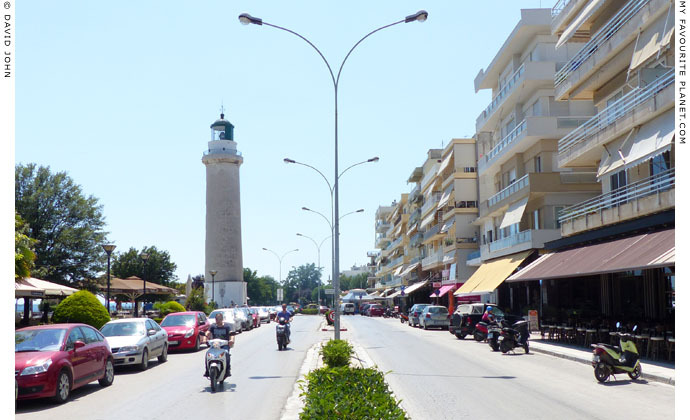 Alexandroupoli is a small, modern city, pleasant though not remarkable, with few tourist attractions. As you can see from the map below, it is the easternmost city and port on the Greek mainland and the most important transport hub in Thrace. Most visitors are just passing through on their way to and from local destinations, the island of Samothraki and the Turkish and Bulgarian borders. If you are staying longer in the city or a nearby village, or have a few hours while waiting for a plane, bus, train or ferry, there are plenty of shops, restaurants and cafes around the port and in the centre, as well as a few churches and small museums you may like to visit. There are also beaches within easy reach (see page 5: sightseeing). where locals take their evening volta and meet in restaurants and bars. 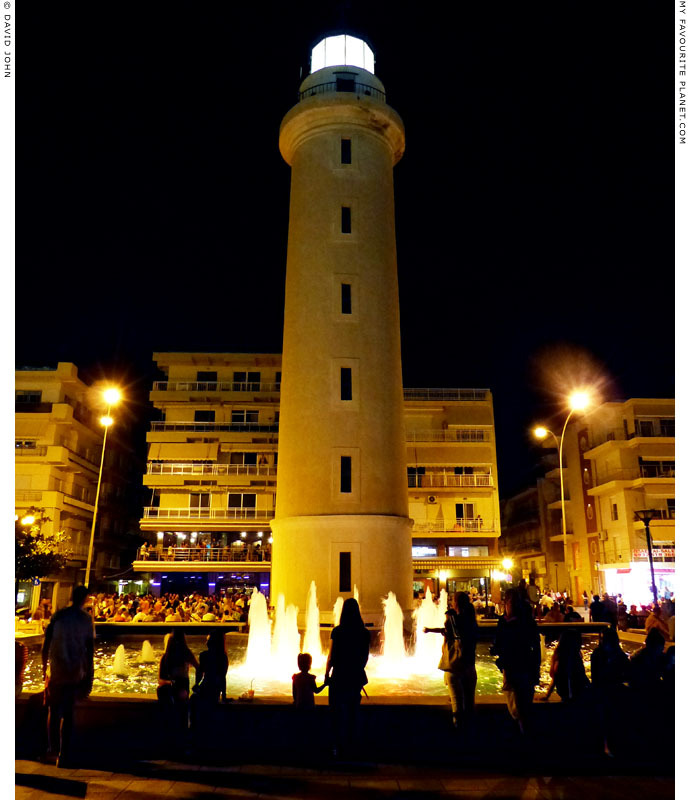 A pool with an illuminated fountain adorns the foot of the venerable beacon. Named after King Alexander I of Greece, who visited the city in 1920. 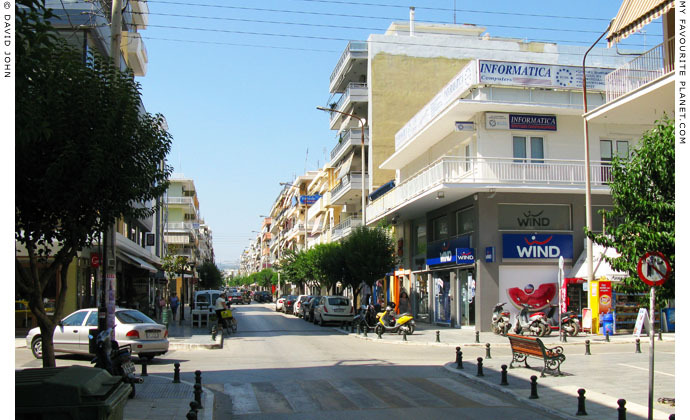 Alexandroupoli is the site of ancient Greek city of Sale (Σάλη; also referred to as Sala), a colony of Samothraki. 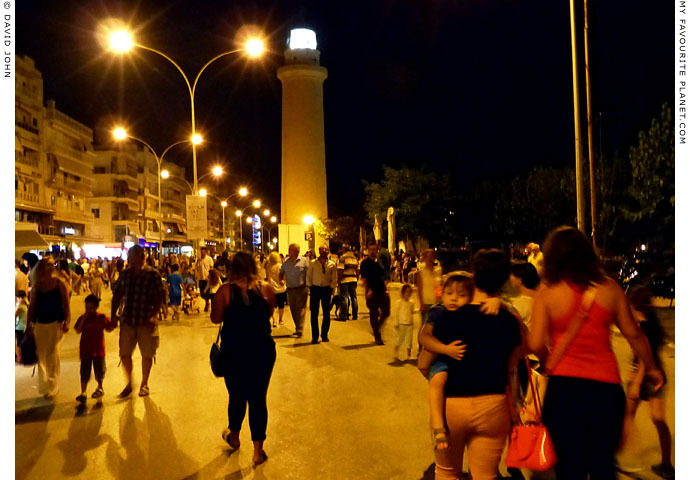 See History of Alexandroupoli. location: Alexandroupoli is the easternmost port city in mainland Greece. the nearest border crossing is over 30 km away. All distances are approximate and can differ, depending on routes. 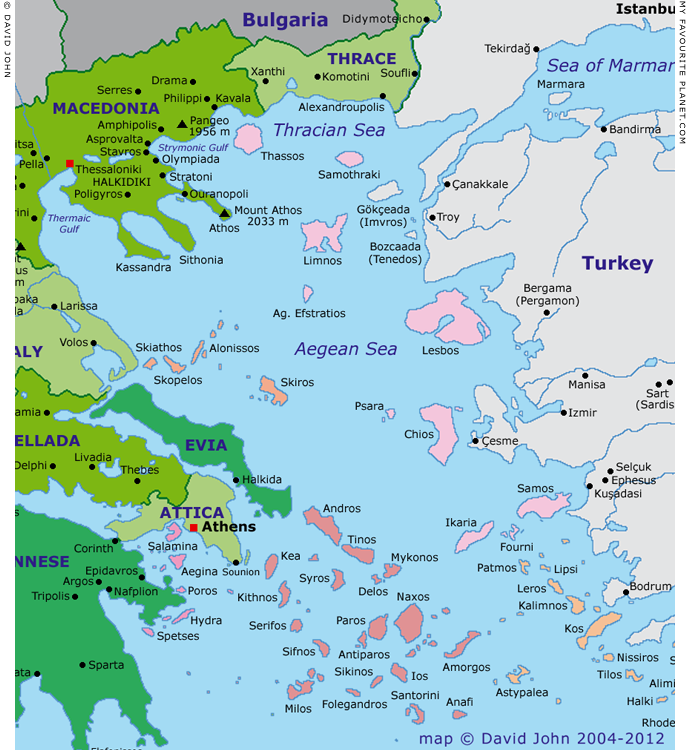 periphery: (administrative region) East Macedonia and Thrace (capital Kavala), which is part of the larger semi-autonomous Macedonia Region (capital Thessaloniki). For further information about the administrative divisions, towns and cities of Macedonia, see our Macedonia facts and figures page. For further information about Greece's administrative regions, see our introduction to Greece, Greece page 4: Facts and figures. there is not much information in English. Further information for Greece can be found in our introduction to Greece pages. is the place to enjoy a sunset and the cool evening air, to see and be seen, to meet and greet. Odos Eleftheriou Venizelou - just another modern street in the centre of Alexandroupoli. 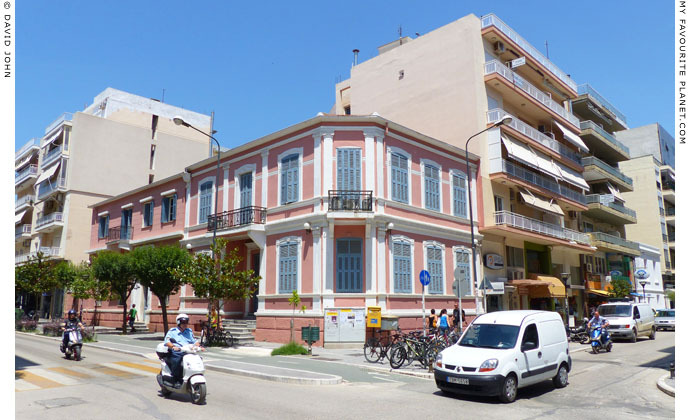 The variety of architecture in Alexandroupoli reflects its short but eventful history. Interactive map of Macedonia, Thrace, Central Greece and the Aegean. See also our interactive map of Greece. Photos, maps and articles: © David John 2004 - 2016.
have been attributed where applicable. Please do not use these photos or articles without permission. blog or publication, please get in contact. Higher resolution versions are available on request. comprehensive and accurate information across this website. made by providers of services mentioned on these pages. Visit the My Favourite Planet Group on Facebook.